Would You Benefit from a Home Intercom System? Home intercom systems are usually associated with apartment living where they may be a necessity to let your people in and out of your home. 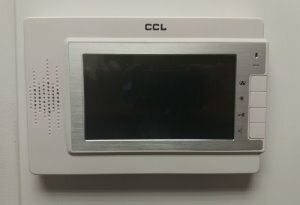 For everyone else, an intercom system may seem like a lot of effort to install with very few benefits to justify that. The reality is that the right intercom system can make your home more user-friendly and have huge benefits for everyone in the family. Of course, the biggest reason to invest in an intercom system is basic convenience. Enjoy the ability to be able to unlock doors from different places in your home or see who’s at your door before letting them in. It definitely makes your life a whole lot easier and is like an upgraded, version of your old school peep hole. It allows you to talk to someone outside your door–rather than having to open it and talk to them directly–a lot easier as well. Adding a video element to your intercom system completely changes the way you treat security. 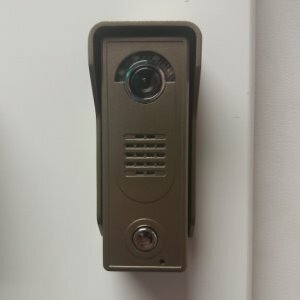 Now you’ll be able to look at someone and verify they are who they say they are before letting them into your home, or if installed outside, letting them into your property via your closed gate. This is particularly useful for elderly members of the family or younger members of the family as they will not have to open the door to anyone they do not know. It’ll also serve as a deterrent for anyone who may want to break into your home or anyone seeking to forcibly enter your house, as they will identify that there is a camera watching them at all times. Vandal-resistant, stainless steel flush mount or zinc-die-cast surface mount Aiphone video intercom door stations. Elegant and durable. Colour video identification day or night using white LED illumination and a 90mm LCD. Review stored images of visitors. Video output for viewing on your TV. Remotely release 1 or 2 doors or gates. If you have questions and want to learn more about our home Intercom Systems – give Brian a call today on 01 8391188.